1. 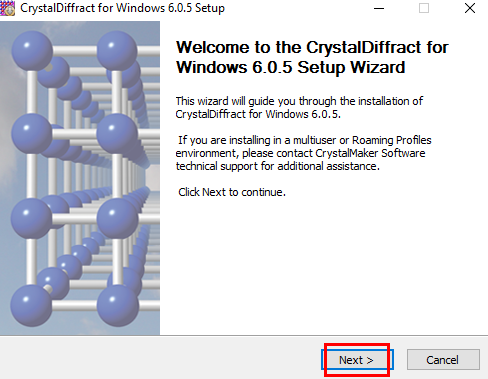 Log into TigerWare to download CrystalMaker Diffract. 2. 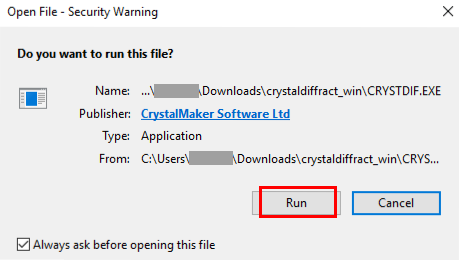 Click the CrystalMaker Diffract 6 (Windows) Download button under the Downloads for Authorized Users section at the bottom of the page. 3. 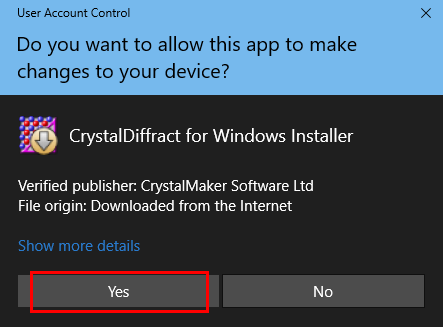 If prompted, select Run in the Security dialog box and Yes in the User Account Control dialog box. 4. 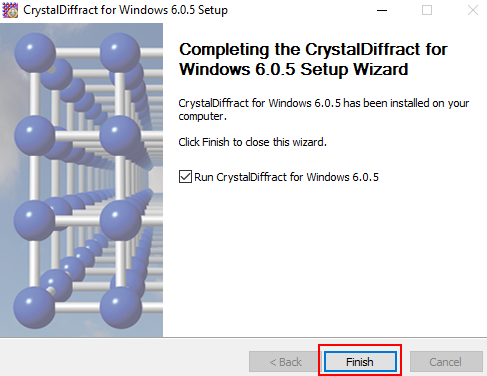 When the CrystalDiffract window appears, highlight the CrystalDiffract file name and click Extract at the top of the window. 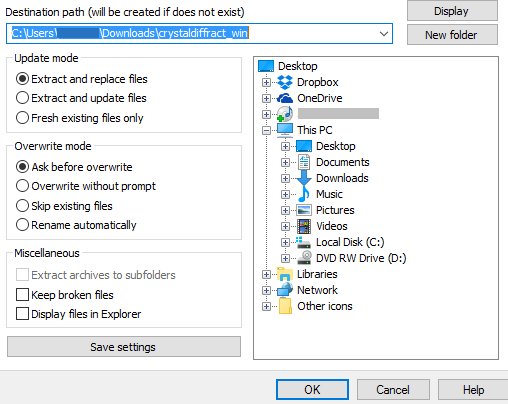 This location may vary based on the file archive program you are using. 5. 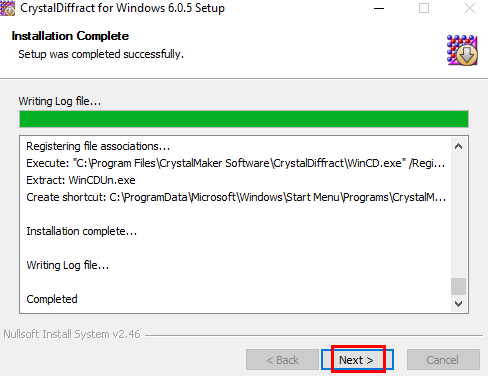 Choose a location where the application will be extracted, then click OK.
6. 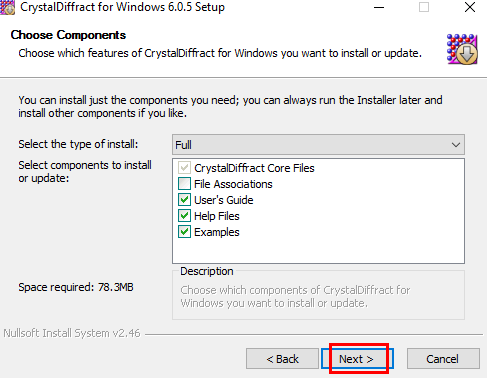 Navigate to the place you extracted the files to and double click the CRYSTDIF.EXE file. 7. An installation window will appear showing a welcome screen. Click Next at the bottom of the window. 8. 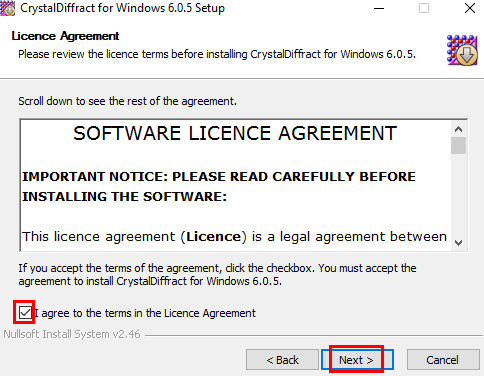 Click the I agree checkbox under the License Agreement terms near the bottom left of the window, then click Next again. 9. The component options screen will appear. Simply click Next again. 10. 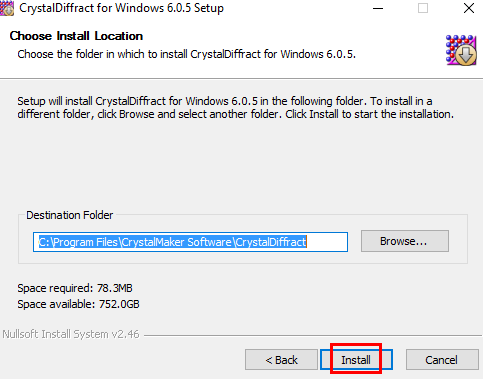 Choose the installation location for CrystalMaker Diffract, or if you are fine with the default location, click Next again. 11. After this, you will be prompted to enter your name, organization, and license code. 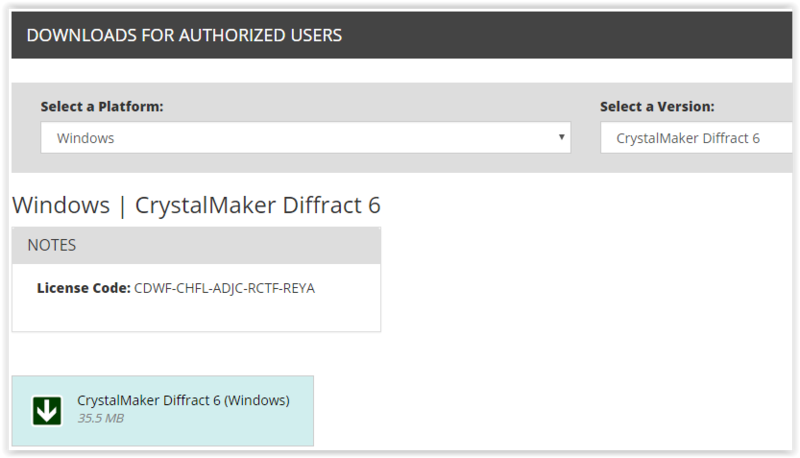 Enter your name and LSU as your organization, then enter the license code found on Tigerware on the download page for CrystalMaker Diffract at the bottom. When done, click Unlock at the bottom right corner. 12. You will then be asked to register online if you wish. 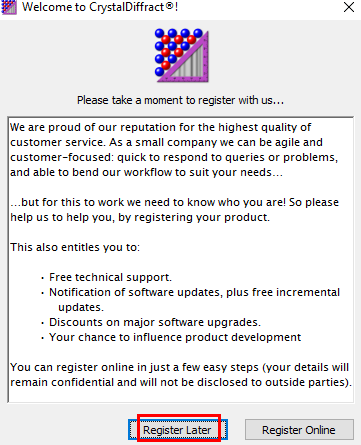 It is recommended to click Register Later at the bottom center to continue the installation. 13. Your installation screen will show details of what was installed. Click Next again. 14. The installation complete screen will appear, and the program has now been installed. Click Finish, located where Next had been, to complete the installation.